One month of the new year down. 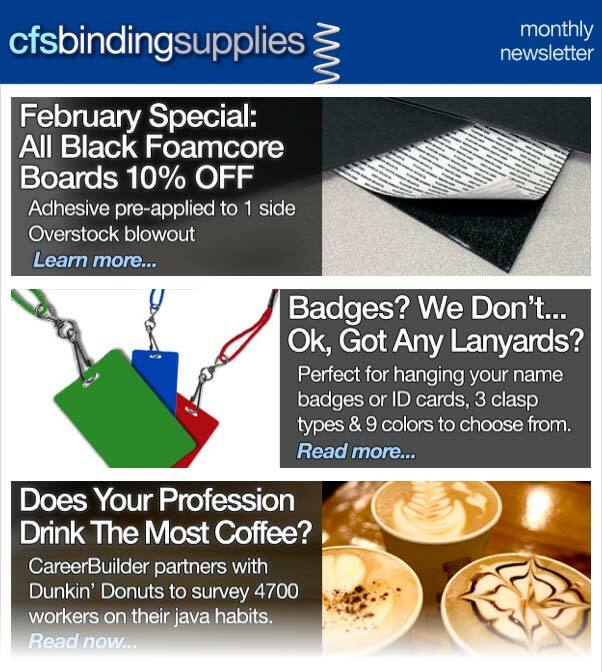 In our February 2014 CFS newsletter we feature our new lanyards – perfect for name badges and ID cards. Also, we’re bringing you a survey conducted by CareerBuilder & Dunkin’ Donuts on which professions drink the most coffee. This month’s special is an overstock blowout of all black foamcore board for the entire month of Februaury – 10% off.